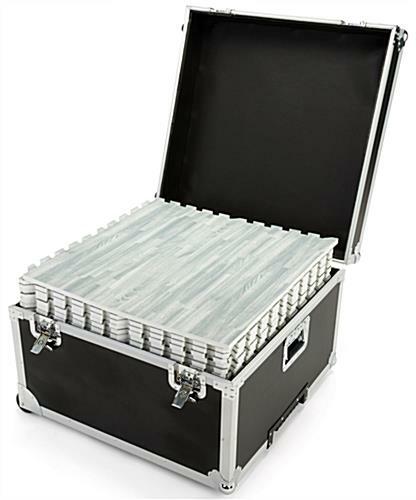 Transporting interlocking soft foam mats has never been easier than with this trade show floor tile carrying case that comes complete with wheels and handles for a portable design. 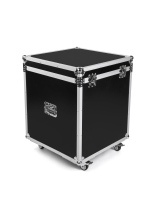 The hard shell container is made with black laminated plywood and has an aluminum alloy frame to withstand the wear and tear of shipping to protect your booth equipment to and from the event. 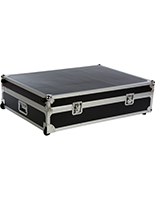 To fit 25 soft foam pieces that are 2’ x 2’, simply place the interlocking panels within the padded interior of the black floor tile carrying case. 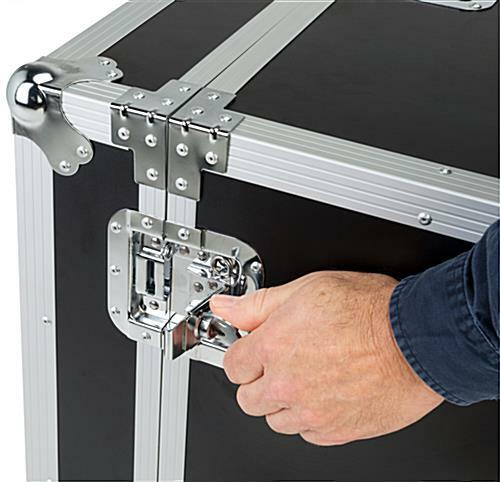 Once ready for transporting to the event, close the butterfly latches and use either the retractable or standard handle to easily move the portable hard shell container. 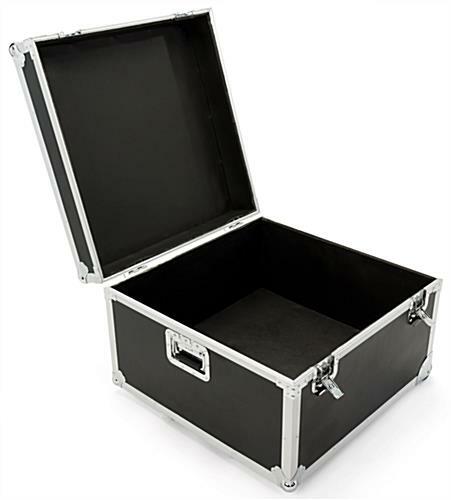 Each unit can hold enough flooring for a 10’ x 10 booth, making this a convenient storage and travel solution. 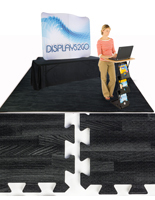 Rather than struggling to contain 25 large mats and edging, use this carrying case to organize and reduce stress at your next expo. 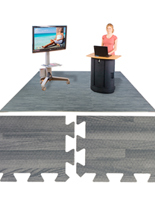 Please Note: This unit is intended for soft foam floor tiles only, not for carpeted floor tiles. 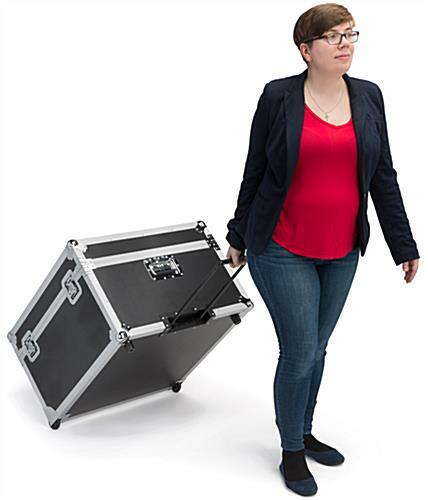 27.0" x 17.5" x 27.0"
25.5" x 14.0" x 25.5"
We purchased the floor tiles and the carry case to easily transport the tiles. 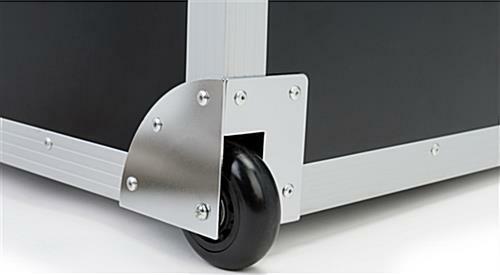 Within one use, the wheels on the cart broke. When I spoke with customer service, there was nothing they could do.... it had been over 30 days. I can't control WHEN we use the case and tiles. 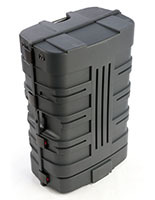 I would certainly have hoped that the case would have held up for more than ONE use. Dawn, thank you so much for taking the time to share your feedback. 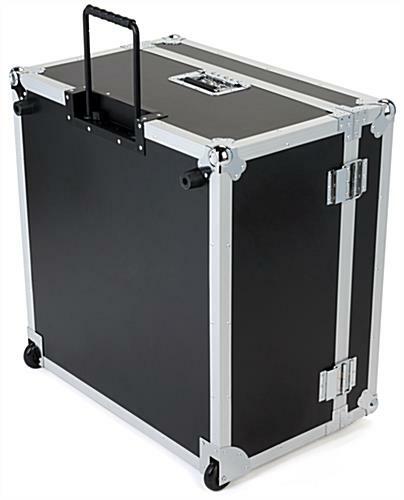 We sincerely apologize that the wheels on this carrying case broke after one use and that you were unable to return the case due to our return policy. This is not the quality or experience that we strive to deliver, nor is it reflective of who we are as a company. 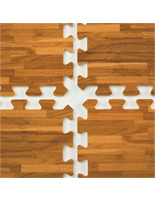 We would like the chance to rectify this situation for you, and we'll have our customer care team reach out to assist. Thank you for bringing this to our attention. So a similar thing happened to me. One of the wheels broke off after the second use - 45 days after purchase. I called them and mentioned the above comment and their response is still after 30 days they cannot do anything for you. Posted one month ago by John C.
Both cases arrived damaged. 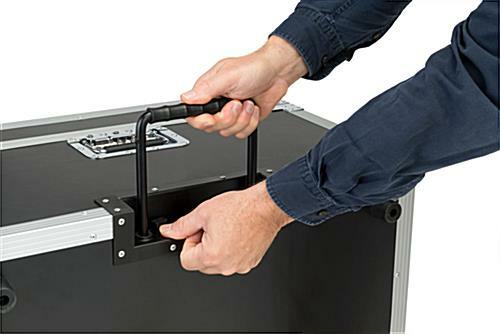 One with minor ding, the other with slightly more extensive damage around the extendable handle which would eventually affect case portability. Customer Service was great in dealing with issues. 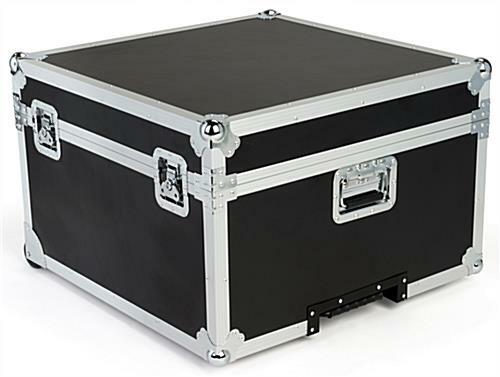 We're so sorry to hear your cases arrived damaged. If our customer care specialists can be of further assistance, please do not hesitate to reach out to us via phone, email, or chat--we're always happy to help!